Making your reservation is very simple. Firstly, use our property search, enter your dates, and this will show the availability of our villas then click the book on line button. 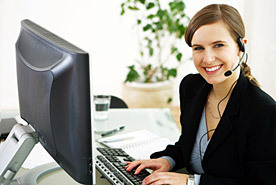 If you wish to speak directly to a reservation specialist please use our toll free number 1-800-592-6956. A deposit is required to hold your booking. The amount of deposit required is 20% of the total cost of the villa. Will the property I rent be the same one as I pick from the website? Yes, the villa you pick for your holiday is the villa that will be reserved for you. Is there a cancellation fee should I have to cancel? Your deposit is non refundable. Any other monies paid will be scheduled as our booking terms & conditions. The balance of your villa rental is due ten weeks before arrival date. See booking terms & conditions. How much Tax is there to pay? The final balance for your villa rental is due 8 weeks before the arrival date. Please refer to the booking terms & conditions. When do I get directions to my villa? Your directions will be sent to you once your final payment have been received. These will also include key codes for your rental property. Check in is 4 p.m. and check out time is 10 a.m.
Is the home fully equipped? Yes all villas are fully furnished including washing machine and dryer. Can I smoke in the villa? No, all our villas are non smoking. You are more than welcome to smoke outside around the pool area. Please read the booking terms & conditions. If you have any further questions please do not hesitate to contact us and we will be glad to answer them for you. ©2019 Florida Bees USA, Inc. All Rights Reserved.